In the past few weeks, 3W-International GmbH has gone through some turbulent times that brought about many new developments and changes. These tumultuous times culminated in a very successful Xponential 2018. 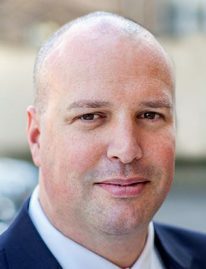 Karsten Schudt, Managing Partner at 3W-International GmbH, has now commented on these developments. In the weeks leading up to the Xponential, there had been many changes around 3W-International: the new production partner Sky Power, new products, new sales staff in Europe and North America, and also a changed presence on the Xponential. How did the market respond to these developments? Karsten Schudt (KS): There have indeed been many changes in our environment, some intended, some unintended. Nevertheless, the trade show in Denver has shown that our customers understand why we had to implement these changes at our company. For us, the Xponential 2018 has been one of the most successful trade shows in our history. Naturally, some people approached us with questions about what was going on, however, we were able to reassure them that we are well positioned for the future and will continue to be a reliable partner for our customers. The market for propulsion units in general is currently on the move. Are you referring to the filing for insolvency of your supplier 3W-Modellmotoren? KS: No, not directly. Obviously, this incident prompted some adjustments on our side. However, even here it can be stated that this topic is not really a cause of concern for us as we are well positioned for the future with Sky Power and reliable partners. We do not wish to get involved in all the other speculations around 3W-Modellmotoren as we no longer maintain business relations with the company. But when we look at the market on a larger scale, the insolvency and sale of Hirth was also associated with many changes. What changes are you referring to exactly? 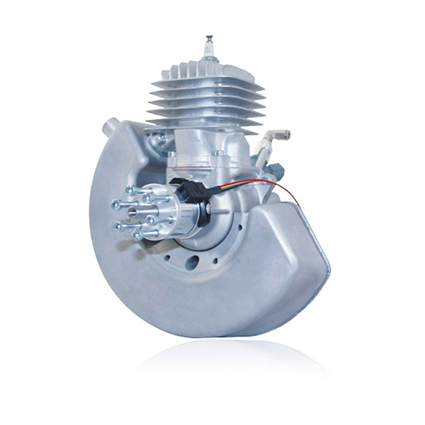 KS: 3W-International, together with Sky Power, is the last German-owned engine manufacturer. Many new customers contact us precisely since they are looking for a reliable partner who focusses on long-term customer relations. Therefore we expanded the sales area before the trade show, with tangible effects. Nevertheless, our customers also expect technical further developments along the requirements of future markets. With our Engine Kit, which we presented at the trade show for the first time, we have demonstrated that we are more than just a mere engine supplier. The discussions we had with our customers at the trade fair have shown that we are recognized as a manufacturer of complete application-based propulsion units. After the trade show is before the trade show – which new products will you showcase in Chicago next year? KS: First and foremost, we have to concentrate on processing and implementing the Sky Power engine line as well as our Wankel rotary engine projects. Add to this more than 100 inquiries originating from the trade show, which have to be attended to. We are also very busy in the sales area. Moreover, we have set up a development plan for the coming 1 ½ years. This means that we will continue to work actively on the further development of each individual engine aiming to make these more efficient and even more reliable. Reducing fuel consumption is the crucial factor in this regard. In addition, our new development department has already come up with some ideas that will be implemented in the coming months. Consequently, we will certainly present new products at the next Xponential – and surely in a less turbulent environment leading up to the trade show. 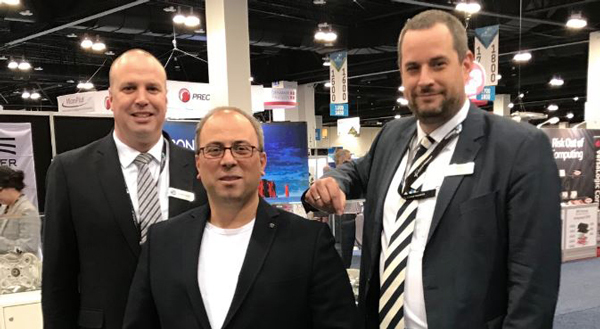 On the sidelines of the Xponential 2018 in Denver, the German engine manufacturer signed a distribution agreement with IHATEK Ltd. Effective from June 1st, IHATEK Ltd. will market and distribute the products of 3W-International GmbH, as well as those of Sky Power GmbH, in Turkey. 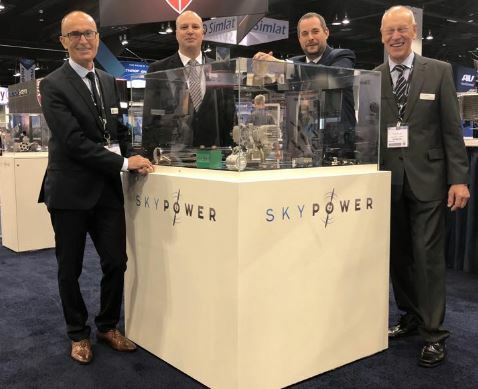 In addition to 3W-International engines, IHATEK Ltd. will also distribute the engines of Sky Power which were presented at the Xponential for the first time. “We will be working together very closely, as this is the only way to ensure that we can offer Turkish customers the best propulsion solutions,” as Schudt continues to explain. For this reason, the German engine supplier will also actively support IHATEK Ltd. on site. The development of service structures in Turkey is planned for the 2nd half of the year. “This will put us in a position to offer our customers consultancy, sales, maintenance and service as a one-stop supplier,” as Celik points out. ESD: In 2009 you entered the professional UAS market with 3W-International. How has the market changed since then? Schudt: At that time, the market was very clearly driven by military demand. The military recognised the utility of unmanned systems very early on and was also naturally a financier that invested in and advanced new developments — such as the Heavy Fuel engine. The situation has changed, because today many UAS are used for civil or commercial applications, which means that in addition to the state there are now also private investors who invest money in the development of non-military applications. ESD: To what extent has this changed the business for engines? Schudt: Back in 2009, our business consisted of selling 2-stroke engines. The customer was less interested in consultation, let alone in the engine’s adaptation to his application area, so we were basically a simple engine supplier. That changed a bit when we were asked to apply our expertise to developing Heavy Fuel engines, but the sales activity barely changed little. However, in the past two to three years, it has been possible to detect a pronounced change in demand and in our customers’ behaviour; that change goes hand in glove with civil and commercial applications. And now we’ve moved away from a purely sales business towards long-term project management, including pre-prototyping feasibility studies. ESD: What are the reasons for these changes in the market? Schudt: We are no longer purely an engine supplier; instead, we have developed ourselves into an expert partner for propulsion solutions based upon 2-stroke and Wankel-engine technology. Our customers are increasingly focussed on efficiency: UAS have to achieve maximum range with maximum payload and minimum fuel consumption. That is a balancing act, of course, and compromises have to be made somewhere, but it is ultimately about the propulsion being tuned to the customer’s needs. This means that we work very closely together with our clients, and become involved in the project early on so that we understand what our customers really want from us. 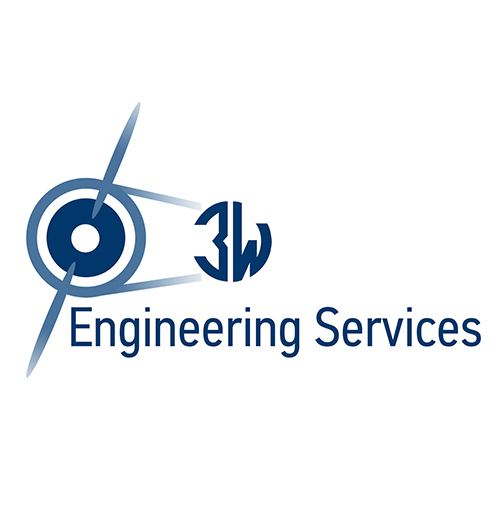 So with our performance partner, Sky Power GmbH, we have developed an engine construction kit with which we can quickly visualise, engineer and combine the components to meet the customer’s equirement. ESD: Please tell us more about Sky Power. Schudt: We have commissioned Sky Power to be our performance partner. Sky Power’s function for us resembles that of a contract tuner for a car manufacturer – say, AMG to our Mercedes. Customer modifications, customisation, new developments and components, and the performance enhancement of 3W products are the goals of the partnership. ESD: What role does Germany play as a site for such corporate developments? manufacturer in Germany in the UAS arena that is not owned by China. We are planning a massive product and service expansion in coming years. To do so, we need engine expertise and experience that we can only find, first-hand, in Germany. ESD: What of the immediate future? Schudt: We introduced the first hybrid Wankel engine in 2017, and will expand our product range based on Wankel engine technology. Issues such as improving efficiency, reducing fuel consumption, and using hybrid 2-stroke engines are both current and future topics with which we are occupying ourselves. And of course we shall continue to work closely together with our customers: propulsion units tailored to the customers’ needs are the future of engine development for UAS. ESD: And looking further ahead? Schudt: We very clearly want to expand our position as a leading supplier of engines, upholding the banner of German engine construction in the UAS area. 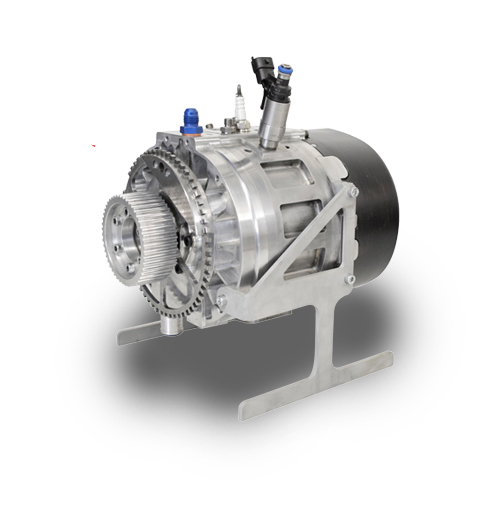 Moreover, we see good opportunities for our Wankel engine technology to be used in remote UAS applications, for instance, as a range extender for electric mobility or purely as a small generator. But these are other markets that we’ll be looking at in the near future. April 2018 · European Security & Defence – The interview was conducted by Stephen Barnard.